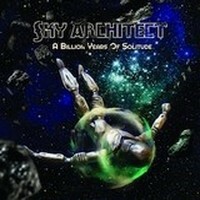 Dutch prog rockers Sky Architect return with their brand new album A Billion Years Of Solitude. Two years after their ambitious A Dying Man's Hymn, Sky Architect are now back with A Billion Years Of Solitude. Prepare for a launch into space. Prepare for wormholes. Prepare for planet eaters, supernovae and lots of unexpected twists and turns. This time heavily inspired by the vintage science fiction classics, Sky Architect boldly venture into new territories, once again proving themselves to be pioneers within the genre. On A Billion Years Of Solitude Sky Architect sound heavier, are more daring and inventive, and have challenged themselves more than ever before. In every step in the process, including the cover artwork, the band have taken full creative control. The result: a stunning outburst of creativity, featuring typical Sky Architect elements such as surprising changes, crazy rhythmic devices, polyphonic arrangements and extensive song structures. Fans of Gentle Giant, The Flower Kings, Beardfish and Pain Of Salvation take note. 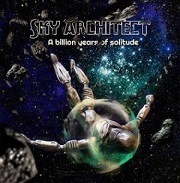 In a little over a year, Sky Architect imposed its progressive rock signing through two albums references.Maintaining a high write rate, the Dutch returned with an "A Billion Years Of Solitude" whose cover, very close to that of "A Dying Man's Hymn", suggests that this new album is a continuation of previous inspiration from science fiction and more. On the space-rock dimension doubt, hyperactive quintet literally invested in this environment that surrounds much of the disc. The introduction of more than three minutes the aptly named 'The Curious One' sounds like the soundtrack of a "2101-The Voyage of the Cosmos" with this suffocating atmosphere and the eerie sound effects.Architect Sky revives very long pieces but unlike 'Deep Chasm' travel is stirred and stunning, mainly because of its convoluted structure and its dark tone. The piece develops a theme song to identically repeated and interspersed with wide dynamic atmospheric or instrumental sequences. If Sky Architect shows boldness in the way of architecting this imposing title remains timid in melodies and vocal harmonies rather easy not at the old compositions. The Dutch are more inspired and familiar in short pieces of "A Billion Years Of Solitude" as' wormholes', 'Tides' or too short instrumental' Jim's Ride To Hell. The heavy-prog psychedelic and space-rock resume cohabitation in the beautiful 'Elegy Of A Solitary Giant' and crazy 'Revolutions' (which proves, even if the demonstration is more to do, the technical ease of young Batavian) but this time the balance and cohesion among a much richer vocals and diverse instrumental passages are controlled. Final Album 'Traveler's Last Candle is a chiaroscuro jubilant and virtuosic form of a looping ethereal atmospheric sequences and powerful projections and convulsed, punctuated by a great chorus Wabe Wieringa. It’s as if this band is on the verge of flipping a coin to float inter either space rock or modern melodic/neo territories; yet clinging onto one subgenre isn’t what Dutch proggers Sky Architect are about. An alchemy of Hawkwind-ish & Floydian trips put forth with the occasional metalized demeanor via Kingcrow and Pain of Salvation, the band does find peace with pop melodies ala-It Bites & Marillion; In Short, A Billion years of Solitude is a hodgepodge of influences representing all things modern prog. The extended “The Curious One” opens up the record bleeding with sci-fi synth tones and sophisticated musicianship in a tight grip, making their fusion chops shine, setting the tone for the rest of the record. “Jim’s Trip to Hell” shows the funky side of the band mashing up a groove relevant textures with dirty overdriven guitars, while “Tides” immerses itself riding on the wings of more steady laid back electric folk-ballad approach; but on the coattails of this, both “Elegy of a Solitary Giant” and “Traveller’s Last Candle” expose the musicianship side of the album, proving all that does dominate the overall vibe with these two additional multi-faceted storytelling tunes. Mostly a voyage for proggers, as the album will bring delight for art rock fans, maybe not so for those into AOR or metal, yet production skills and the compositional approach will keep the listener on their toes with what heralds a real band making a real recording. Rotterdam, Netherlands based rock group Sky Architect released their thirld album last month - A Billion Years of Solitude. Although the band is firmly rooted in the progressive genre, they do experiment at times with various effects and even a bit of jazz fusion. Meant to invoke the feeling of old sci-fi films, A Billion Years of Solitude certainly feels like the soundtrack to many movies Joel or Mike would have watched from the Satellite of Love. The band has stated that they are on a mission to prove that progressive rock is not only beautiful, but exciting as well. I'm not really sure how exciting translates into an 18 minute opening track, but let's give them the benefit of the doubt. Our journey begins on "The Curious One" where listeners will feel like they are zooming through the stars accompanied by weird B-movie sound effects. "Jim's Ride To Hell" is a two minute instrumental track with a sharp guitar riff that the band seems well suited for. Sky Architect breaks out the jazz piano on "Elegy Of A Solitary Giant." I normally wouldn't enjoy such an addition to progressive rock music, but within the aforementioned space theme it works incredibly well. Tom Luchies' vocals are hit-and-miss on the album. For example, on the trippy track "Wormholes" his vocals are extremely soft and seem out of place on the song. On the other hand, the emotion Luchies demonstrates on "Tides" fits perfectly into the track. The same hit-and-miss dynamic can be applied to the use of effects. "Revolutions" has some lovely blips and bleeps that sound like they are coming from the aliens in Close Encounters of the Third Kind, while the voice effects on "Traveller's Last Candle" aren't nearly as pleasing. Listeners who enjoy classic progressive acts like Pink Floyd and Rush would be advised to check out A Billion Years of Solitude. Recommended for rock fans with a love of science fiction. I do not often happen to run into an album for some reason "hard" but this is definitely a case among those. 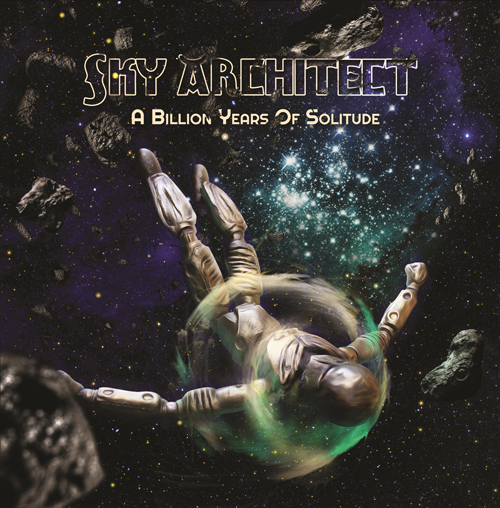 A Billion Years of Solitude is the third effort of Sky Architect and even before decantarne I must point out strengths and weaknesses as they are the authors of music interesting but definitely not very malleable. For those who do not know them, usually wanting to try capturing them in a genre, it can indicate their proposal as heavy prog , where the obvious progressive influences are often accompanied by a clear weighting of the sound. The quintet of Rotterdam as I mentioned Arriving in the third round, often regarded as the decisive one, so far three outputs every two years which I believe have denoted a progressive and constant maturity, provided that their music needs to listen to "dedicated".Änglagård , Pain Of Salvation and The Flower Kings on the one hand, King Crimson and Yes as an 'other, these are the muses that I feel most alive in the proposal from the Dutch band. Try ideally mixed together these different inputs can already provide a track, even if in principle, articulated and complex than are their sounds, then you will find great technique and a predisposition towards song writing full-bodied and challenging, good command nell'arrangiare and "decorate" the sound. The training, solid and stable, he sees Tom Luchies (vocals and guitar), Wabe Wieringa (guitar), Guus van Mierlo (bass), Christiaan Bruin (drums), the endless keyboards and horns of Rik van Honk. A Billion Years of Solitude is published by Galileo Records, an hour of music punctuated by seven tracks, three of which (one in particular) quite long. The story is inspired by science fiction in vogue among. 50s and 60s, in the future of a galaxy profoundly changed. It 'just the suite The Curious One (18 minutes) to take the lead with a long introduction shaggy and almost noise of about three minutes. Atmosphere space rock that gradually gives way to the first of a guitar arpeggio and then the painful voice of Tom Luchies . Warm tones and suffused, pastel shades which are subsequently deleted from a total change of scenery sound, the plot thickens, the drumming moves to shots of continuous variations, the low van Mierlo carves out space with decisive lines dark and massive. The keyboards (mellotron all) give an additional aura of drama and then the sound is distorted guitar to call to Fripp , before the grand finale that is to latch on to the opening theme. Wormholes (The Inevitable Collapse Of The Large Hadron Collider) is presented immediately with sounds angular, sharp, great rhythm and speed of execution in the face of anything but simple steps. If you are musically almost flawless Sky Architect lacking a little in my opinion, in the voice of Luchies , often monotonous. Another good episode Tides , short but very intense with a good melody, harmony and proper that on this occasion the singer comes out better, maybe less compressed by the amount of sound that is still not indifferent. Another long moment is represented by Elegy Of A Solitary Giant , more than any other piece that I believe needs attention. Little or no concession to easy listening, a picture full of details and nuances of the understanding of which can not be instantaneous nor relegated because he leaves the overall meaning of the song. Very short, Jim's Ride To Hell has the advantage of possessing a strength and an incredible charge, bass and drums draw trajectories impossible, "escaping" the control of the guitar and keyboards. Revolutions continues in some way the discourse of Elegy, making it softer then with an insert slightly soft and melodic. The second part opens up more, while showing still a close fight between one side and the rhythm guitar, keyboards and vocals on the other. Traveller's Last Candle , another block of granite, complete and closes the work. The presence of vocal takes off, gloomy and ominous atmosphere hovers between the notes for the first few minutes to the entrance of a different feeling, more relaxed. An abrupt departure, like a torn veil, from the street to the second part, complex and rough at first and then more direct and immediate thanks to the work of the guitar really valuable. Final again, convulsively, takes the initial coordinates. Sky Architect with their new album is confirmed as one of the bands more details and, if you will, introverted of the current scene. A Billion Years of Solitude is revealed at the end as their best work, innervated excellent technique and a judicious mix of intuitions, past and present, and the result is a CD certainly interesting and worthy of note but, as mentioned, is not very intuitive and takes time to be assimilated. Their second album was acclaimed by the specialized press for the quality of ideas and the goodness of the collective: the Sky Architect, not content with the excellent results of "A dying man's hymn," returned two years later with an album that refines and defines the modern reading of prog played by the band. "The curious one" (an opener of 18 minutes beautiful weighs), "Elegy of a solitary giant" and "Traveller's last candle" are the highlights - and greatly extended - an album inspired by science fiction, that demobilization all the paraphernalia of the case by entering into a broad conceptual framework idea of new progressive-date and competitive. In contrast to large overture from rock opera, "A Billion Years of Solitude" opens with a slow start and placid developed for thrust, detours, shots and segments that bring to mind the lesson of the classics, Gentle Giant of all and for the occasion cosmic even Pink Floyd. Where the Sky is a contemporary group by reason of the partial waiver of the apparatus and the iconic sound of the 70s and inserting diversions: subject to adherence to the genre - as evidenced by the length and structure of the songs key - the Swedes work better on tight tracks, as evidenced by the changing nature of "Revolutions" and the imaginative sequence of "wormholes" process, combining geometry and crimsoniane outbursts heavy-prog. A hard convincing for the quality of workmanship and safety of writing: how to stand out in some way, even excessive models, the neo prog Sky is packed with full knowledge and maturity. Since the early days of postmodernism are phrases such as "between tradition and modernity" become meaningless because of the mix of styles, she has produced, has made these two former Poland two pools that are eventually flowed into each other inseparably. In view of retro phenomena which are contemporary because they could not be more retro otherwise, temporal sequences seems to be repealed. And even these are now again subject of new grenzverläugnender style blends become. The good old Retroprog, once to anchor clearly in the work of bands like The Flower Kings and Spock's Beard based crisp bass sounds, jazzy drumming and especially archaic keyboard sounds, has long since with neo prog, new art rock, jazz, prog metal or alternative to barely clearly mixed in a recognizable spectrum are rooted individual styles of individual bands, has produced its ever independent crossover phenomena. Sky Architect are as a band. Would the phrase "between tradition and modernity" in our postmodern still make sense to her music would exactly describe it. In fact, is the music of Sky Architect is an excellent example of how stylistic elements integrated at the end of all stories in the music together so that their temporal diversity is canceled and their epoch affiliation is meaningless. Sky Architect integrate this space rock, "Animals"-Pink Floyd, King Crimson, classical counterpoint, straighten Acid Rock, Progressive Rock pathetic, technically polyrhythmic virtuosity and a lot of alternative / new art rock to a no longer entmisschbaren and that's what compelling mix of styles. And so it's become clear to you readers too sure: "A Billion Years of Solitude" is Sky Architects best album so far - by far. Even "The Curious One" proves that the band has learned in the design of long tracks. Although it is still a little room for improvement, the song hangs together much better than previous longtracks the band. In its atmosphere, he is somewhat reminiscent of Marillion's "Gaza", but is more of a piece and can come up with the more interesting parts. However, there are again especially the songs of short to medium duration, which can accommodate Sky Architect to himself. The first highlight is the multi-part, and yet to the point placed "wormholes", which features excellent riffs that are provided to each other in tense contrasts. Here it leaves the band finally a big bang again, something that had been missing on the second album a bit. "Tides" takes the same score, is a little more concise and shows the alternative influences of the band. This is new art rock, like me: The ominous mood of the song is not caused by sound magic, but by compositional means: The strange, weighty riffing, the classic proggige contrapuntal Interlude and spun vocal melody ensure a perfect Atmorock as he should be. The next blast is called "Elegy". He waits on par with a polyrhythmic part before the song in floydianische climes migrate ("Animals" phase) - but somehow it's just quite contemporary new art rock .. A quiet piano part then advances to one characterized by horny Geriffe passage that is still inclined enough to pick up the Progfan where he almost rusted when many Retroproghören. The piano returns and leads back to the "Animal"-pean new art rock, the band shows off here than what he just may be: Unlike many bands that are active in this area, Sky Architect explore the potential this genre to the full. So one has to do it! "Jim's Ride to Hell" This is exactly frenetic Heavy riff-storm which the title suggests. Alternating with intricate staccato the Metal version of "Heart of the Sunrise" riffs is presented, so to speak, complete with distorted guitar and Mellotronstreichern. Terrific piece - and yet only a prelude to the next album track "Revolution", which again contrapuntal Retroprogmetal in the program before it then space loungeig weiterght, with a thick shot of jazz harmony. Again, the band shows how well they capture atmospheres and can bring compositionally to the point. Fluent are the transitions to the next passages, and before you know it you're back in the middle of a world of sound between a dull metal and intelligent new art rock, but also in the good old pig organ is in good hands. The whole thing comes up with dramatic dissonance and intricate rhythms as well as to with great histrionic gestures and a climactic finale. Modern Prog par excellence! The same can one say about the final piece - though here again comes to light that the glue that will hold together the song that is applied slightly too thin. Though there are some parts repeatedly, but a real train to port is not heard. Nevertheless, the track with its extremely groovy rhythms, its strong melodies and especially his uninhibited space rock passages is once again a highlight of the disc. It remains to mention that "A Billion Years of Solitude" is a concept album, which can be influenced by the sci-fi classics of the 50s, 60s and 70s has. Here it goes right across the space, and you can hear that the music also. The good news: The effect is not produced on Blubbersounds and studio tricks, but with solid compositional means. That the works over the entire length of the album, Sky Architect lifts finally out of the mass of the Retroprog and New-art-rock bands also - and far. "A Billion Years of Solitude" is not only the best album of the band, but also one of the best albums from this corner, I've heard this year. Forget Steven Wilson. With the release of its stunning debut LP, Excavations of the Mind, three years ago, Rotterdam quintet Sky Architect declared itself a promising and unique new force in the modern progressive rock landscape. A fairly mellow affair, the record was nonetheless quite complex, as its intricate arrangements were complemented by surrealistic melodies and organic tones. Interestingly, its successor, A Dying Man’s Hymn, was considerably more adventurous, sporadic, and ambitious, resulting in a slightly less accessible yet inarguably more layered experience. Now the group returns with A Billion Years of Solitude, and it’s just about as enticing, virtuosic, and idiosyncratic as you’d expect. The secret to Sky Architect’s success is the way the band incorporates prophetic experimentation and various influences (including Dream Theater, the Flower Kings, Pink Floyd, and Genesis) into standard genre templates. The result is among the freshest and most invigorating sounds in the genre today. Thematically they’re no strangers to psychological turmoil, and A Billion Years of Solitude is no different, save for the fact that both its concepts and compositions are noticeably more, well, spacey. They describe it as “[evoking] the feel of sci-fi movies from the 50s and 60s. Listening to it, you will be transported to a universe and era in which black holes and supernovas are an essential part of everyday life, intergalactic wars are waged and multidimensional beings are waiting past every corner to lunge at you.” Interestingly, the album explores these ideas with its production techniques just as much as its lyrics, making listeners feel these effects with or without words. The album opens with its longest track, “The Curious One.” After some bombastic psychedelic riffs and spacey sounds (a combination that definitely recalls classic Nektar works, such as Recycled), things fade into a typically melancholic build up in which guitar arpeggios decorate vocalist Tom Luchies foreboding verses and delicate chorus. Eventually the gang incorporates a lot of counterpoint and frenzy (like a rawer version of Gentle Giant), as well as explosive solos. It’s wonderfully symphonic and bold, and of course the song includes a reprisal of the opening catastrophe near the end. Elsewhere, “Wormholes” juxtaposes chaos with somber reflection, as Luchies’ singing fits perfectly with the tonal patterns. There’s an especially brilliant dynamic shift near the end of the track, in which the heaviness switches to a calming waltz. “Tides” contains the most immediately gratifying melody, as well as guitar work (both beautiful acoustic passages and aggressive blocks) that brings Opeth to mind. “Jim’s Ride to Hell” is a trippy (and brief) instrumental packed with fiery rhythms and staccato plucking; really, it’s reminiscent of Between the Buried and Me’s ingenious The Parallax II: Future Sequence. Expectedly, the last two tracks follow the same model as the rest of the album. If there is any flaw in A Billion Years of Solitude, it’s that the music overshadows the vocal contributions. In other words, as pleasant as they are, Luchies’ parts aren’t as memorable or distinctive as they’ve been in the past. On the other hand, though, the arrangements are exceedingly inventive and surprising, so they make up for it. Still, the lack of infectious singing is a bit of a letdown. In the end, A Billion Years of Solitude is another great entry in Sky Architect’s discography. It’s arguably their most elaborate and striving LP yet, and the emphasis on spacey textures and odd effects makes it feel sufficiently different from its predecessors (although all of their beloved trademarks are still here, of course). Not only is it a fine addition to the group’s catalogue, but it’s also one of the best progressive rock releases of 2013. Do yourself a favor and check it out ASAP. Dutch of Sky Architect now offers us their 3 e studio album and, once again, they will surprise us. This young band from Rotterdam love progressive rock, the tortured melodies and captivating atmosphere.Again, they will captivate us with seven titles that will delight lovers of progressive. Everything starts with an epic introduction to the very science fiction. It is precisely the purpose of this album. They decided to swim in the science fiction of the 1950s and 1960s. The beautiful book represents all that well.You will also find all the words. A definite plus. "The Curious One" then moves smoothly in music mode with great intensity in his voice.Gradually, the atmosphere rises, the weaving complex, influences a Beardfish and a Flower Kings intermingle. One feels transported. Sky Architect captivates us with this picture of not less than 18 minutes. "Wormholes" alternates between percussive and moments of sophisticated sweetness. The vocals are intense, the breaks and breaks against-many. "Tides" is more air, but the arrangements are nevertheless searched. Beardfish is not far. The expanded voice "Elegy Of A Solitary Giant" reveal an atmosphere Electric Light Orchestra debut mixed with Flower Kings and sprinkled with a dash of Beatles era "Magical Mystery Tour" . Following a very short instrumental tortured. Colors saw the Crimson with "Revolutions" and exuberant guitar. All spins in a madness that we win. "Traveller's Last Candle" ends the CD. It is an epic twelve minutes that shows intriguing. It feels a little Pain of Salvation and Beardfish. This third studio album Sky Architect is a marvel. Take the time you look and do not stop at the first listen. Persevere and you will not be disappointed. This album is gaining momentum with each listen, undoubtedly the prerogative of great albums. And it is undeniably one of the best of the year. Hailing from Rotterdam, Sky Architect have been together since 2008 and have released two albums prior to A Billion Years of Solitude. Largely unknown outside of the Netherlands, that could all be about to change with this latest offering, released on 4 November. The bands’ biography states that for this album they were inspired by, and wanted to evoke the feel of, sci-fi movies from the 50s and 60s. They have certainly done that with the opening track The Curious One, after about three minutes there is a synth motif that threatens to evolve into the theme from the original Star Trek. Athough all of the songs have a space or sci-fi subject matter this is not a concept album any more than Hawkwind’s In Search of Space or Doremi Fasol Latido were. As inspiration, Sky Architect cite the likes of modern day neo prog bands such as The Flower Kings and Opeth and classic era bands like Pink Floyd, Genesis and King Crimson. Listening to the album, however, it becomes apparent that one influence stands out above the others and that is King Crimson, particularly around the period that produced such classics as Starless and Bible Black and Red. The doom laden riffs over staccato rhythms are there in abundance and at times guitarist Tom Luchies harmoniously fluid runs or hard edged, jarring solos are pure Fripp! Even the vocals occasionally sound almost Wettonian. That said the music can suddenly shoot of at a tangent with a keyboard solo reminiscent of Rick Wakeman in Yes, a brief episode of jazz fusion or a portion of heavy metal riffing! The lyrics, as you would expect given the subject matter, are not exactly deep and meaningful, but neither are they cringeworthy, as some dealing with this subject matter can be. Apart, that is, from one line on Traveller’s Last Candle, a glaring double negative; “later there won’t be nothing left for me”, we will forgive them that, however, and put it down to not writing in their native language. It is not all sci-fi and fantasy, however, as there is a degree of environmental comment in Wormholes (The Inevitable Collapse of the Large Hadron Collider) which deals with …well the title pretty much speaks for itself really! The aforementioned The Curious One kicks the album off in epic style, at a little over 18 minutes. After a dramatic opening, not dissimilar to that of Todd Rundgren’s Utopia it tends to fall a bit flat with some early Pink Floyd type spacey noodling. This is followed by the first couple of verses and chorus sung with acoustic backing, it doesn’t really get going until after the six minute mark when it really comes to life with one of those Crimsonesque heavy staccato rhythms. From this point in the song is excellent, going through a number of time and tempo changes – frequently returning to the chorus which sounds vastly improved and infinitely more dynamic given the full band treatment. Wormholes is an interesting one, dramatic start giving way to pretty standard prog fodder until a very funky burst and – hang on, is that the Clangers I hear towards the end? Well they did say they wanted to evoke a sci fi feel! Sky Architect excel more on the longer songs where they can stretch out musically, but Jim’s Ride To Hell which at 2.25 is the shortest track on the album and completely instrumental, stands out for cramming so much into it’s short existance. A rollercoaster ride of searing guitar, crunching bass and thundering drums, tempered with whimsical Zappaesque keyboard passages it is prog metal a la Dream Theater. Revolutions and Traveller’s Last Candle round things off brilliantly with plenty of variation, all of the above in spades and even a lengthy jazzy part in Revolutions, culminating with a dramatic ending to TLC, disjointed riff, screaming guitar, swooping synths and enough bleeps and bubbles to keep the pickiest Hawkwind fan happy well into the next millenium! Overall Sky Architect have achieved exactly what they set out to and have come up with an album that is varied and interesting, excellently played and with a well thought out balance between long musical workouts and shorter snappy, instantly memorable tunes and riffs. This is made all the more praiseworthy by the fact that they chose to go it alone for this release. Production and mixing was by guitarist Wabe Wieringa, mastering by drummer Christiaan Bruin and the cover art by keyboard player Rik van Honk. Talk about keeping it ‘in-house’! For a DIY job you really can’t fault it. Finally, just in case you want any more recommendation, The Tangent’s Andy Tillison can be seen wearing a Sky Architect tshirt on the inside cover of his latest album Le Sacre Du Travail! Say no more! ... second album Sky Architect on the mat late flops. Surprising because in the deluge had I missed the first album to releases. And then you get Galileo Records from England a promo from a band that resides around the corner here in Rotterdam. "A Billion Years of Solitude ' is a dynamic album with lots going on. The band has a unique identity but heard many tempo changes and polyphonic arrangements I do think with some regularity to Gentle Giant while the overall atmosphere of Opeth and Pain of Salvation refers. From Rotterdam in the Netherlands comes Sky Architect, and their third and latest effort, A Billion Years of Solitude, introduces a space rock/science fiction element into their brand of melodic progressive rock. Hints of Genesis, Porcupine Tree, Hawkwind, Gentle Giant, Eloy, Pink Floyd, Dream Theater, and King Crimson pop up from time to time, especially on the rousing 18-minute opener "The Curious One", which kind of combines all the influences of the band into one killer epic. But, before we really dive into the music, let me report that the current line-up of the band consists of Tom Luchies (vocals, guitars), Wabe Wieringa (guitars), Guus van Mierlo (bass), Christiaan Bruin (drums, backing vocals), and Rik van Honk (keyboards -Mellotron, Grand piano, Hammond organ, Rhodes piano, - Clavinet, Moog synth, Wurlitzer, plus flugelhorn, trumpet, backing vocals). Back to that opening epic, it's an explosion of space rock and heavy prog musical & lyrical themes, with waves of Mellotron and various keyboards floating over throbs of bass, jagged guitar, intricate drumming, and layered vocals. Gentler than Hawkwind but more explosive than Genesis, it's a perfect half-way meeting point of both styles, and there are some sizzling solos here and plenty of haunting atmosphere. It's easily one of the 'must hear' songs of the year. "Wormholes (The Inevitable Collapse Of The Large Hadron Collider)" is a more rocking piece, but still firmly in the prog camp, reminding at times of Spock's Beard as well as Todd Rundgren's Utopia, and it's a real workout for guitarist Wieringa but also containing some great vocals courtesy of Luchies. "Tides" is one of the shortest tracks on the album, but it's also one of the heaviest, as churning guitar & keyboard riffs blast away over intricate rhythms, eventually giving way to lush acoustic guitar and floating vocals, before succumbing once again to Dream Theater/Gentle Giant styled complex bombast. The mighty Mellotron comes back for the engaging "Elegy of a Solitary Giant", another lengthy number complete with sci-fi drenched lyrics and plenty of spacey sounds, a perfect trip for all the Hawkwind/Eloy/Nektar/Pink Floyd fans in the house. After the quick little heavy space rock instrumental "Jim's Ride to Hell" (an awesome piece that I wish was longer), the band deliver one of the quirkiest numbers on the album, the complex "Revolutions". With plenty of keyboard textures from van Honk and acrobatic guitar from Wieringa, this one is a wild ride that zig zags from intricate prog-rock to ethereal space rock and back again. Closing 13-minute epic "Traveller's Last Candle" is another sci-fi yarn with some incredible musical passages, and the way the band go back and forth between lush atmospheric sections, to spacey explorations, to rumbling, bombastic heavy prog is just amazing. There have been a lot of excellent albums released here in 2013, and A Billion Years of Solitude certainly is among those and will be looked at closely when people are putting together their 'best of the year' lists. I just love the way this band perfectly meshes heavy progressive rock with the more otherworldly sounds of the space rock genre, making for a truly intoxicating listening experience. Stunning stuff really, and highly recommended.